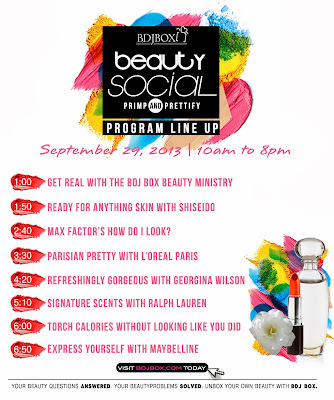 SugarSmile: BDJ Box Beauty Social: Primp and Prettify on September 29, 2013! Because Ms. Dar pegged me and Krystle as BDJ Veterans, I’m counting down the days to the BDJ Box Beauty Social at Skydome SM City North EDSA on September 29, 2013. BDJ Box is a beauty product discovery subscription service for women. Brought to you by the makers of the Belle de Jour Power Planner, BDJ Box aims to help every Filipina unbox her own beauty. For Php580 a month, subscribers receive a mass-customized box with at least 5-6 of the best beauty products delivered to their doorstep. 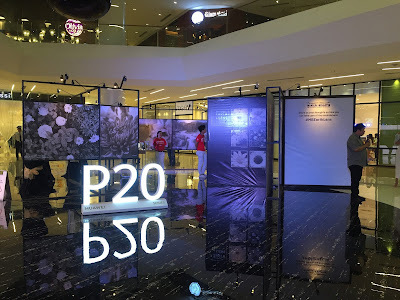 The event is open to everyone but only pre-registered girls will be allowed to participate in the talks, get a loot bag, and have their picture taken at the photobooth. Slots will be given on a first come, first served basis.